YuppTV is one of the biggest online TV App that offers you to watch over 200 live India Television Channels, TV Shows, VODs, T20 Live matches, and latest movies on your digital device. This latest version of YuppTV brings 24/7 top-notch entertainment is an easy to use and simple package. This app made it possible for you to watch your favorite programs and channels including news, comedy, family drama, romance, spiritual, crime, musical channels and entertainment. The single screen allows you to find the way to app with less effort and allows you to enjoy popular programs anytime, and anywhere through your digital device. It is fun to watch the streaming live programs, especially the T20 Asia Cup Cricket Tournaments. You can watch all these latest Bollywood and Regional movies, latest TV shows, on-demand TV shows, etc absolutely free. Using YuppTV platform you can watch over 1000 Bollywood or Hindi movies. 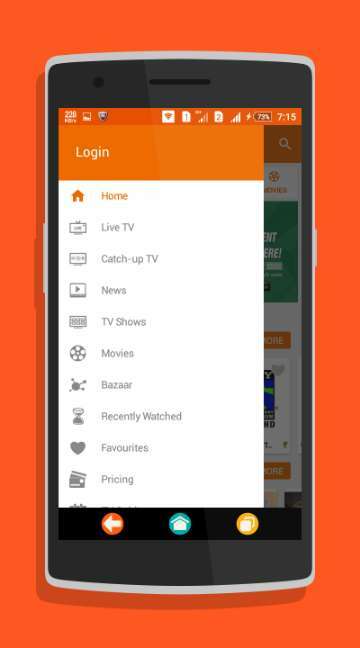 You can download the YuppTV app at Androidfry by pressing the download now button, once you press the button, the download process begins. Before that, you should install iTunes on an accessible iTunes account to download and install the app. Note: This download is not obtainable in some countries. Watch over 200 live Indian Television Channels using YuppTV effortlessly, also, watch free Bollywood and regional movies on your phone and experience the top-notch entertainment freely. Malayalam- Surya, Asianet, Kiran, Jai Hind, Asianet Plus, Mathruboomi, Reporter, Asianet News, India Vision , Kaumudy TV.